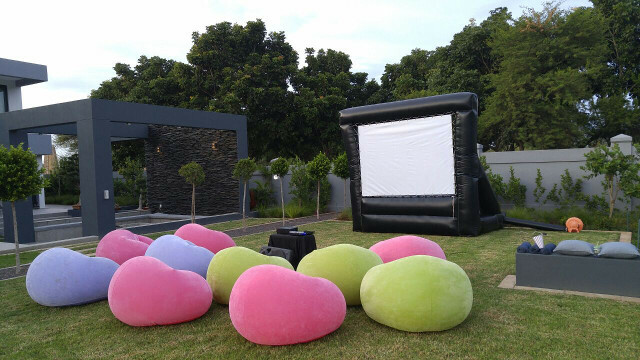 Add the ultimate wow element to an evening in with a Private Outdoor Cinema for Two. South Africa has the most beautiful climate. After a day in the great outdoors, going inside to watch a movie can be a downright anticlimax to an otherwise perfect day in the company of that special person. Well, now you don't have to go indoors! 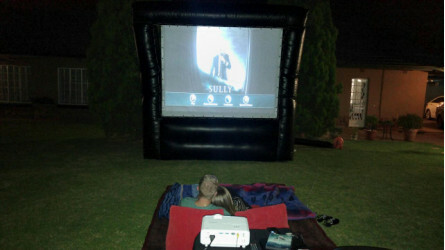 Simply select your preferred outdoor space - your backyard will do just fine - your favourite DVD, and snacks. We will do the rest! A technician will show up at the prearranged time, and set up a projector, sound system and large inflatable screen. If the weather fails, you still have the option of a large indoor screen. The technician will be available for four hours, which is more than sufficient to cover one movie or they can collect the equipment the following day. Optional extras are available, including: bean bags, popcorn machine, slush machine, additional movie screening, and assistance with obtaining a movie license. Two back rests are included for your use. 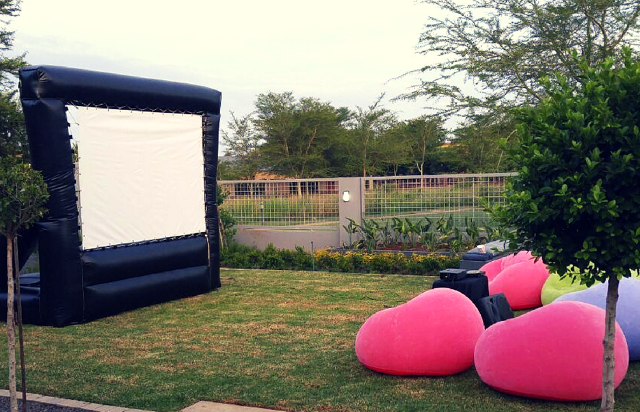 Book your Private Outdoor Cinema for Two experience right now! 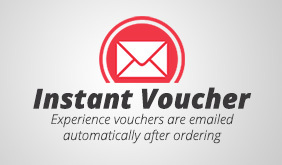 20km radius from JHB CBD includes free drop off and collect. Travel fees charged for outlying areas. Technician and equipment hire included. The technician can stay or collect the following day.